Last week we did something exciting! We are even more excited to bring the experience review to our readers today! 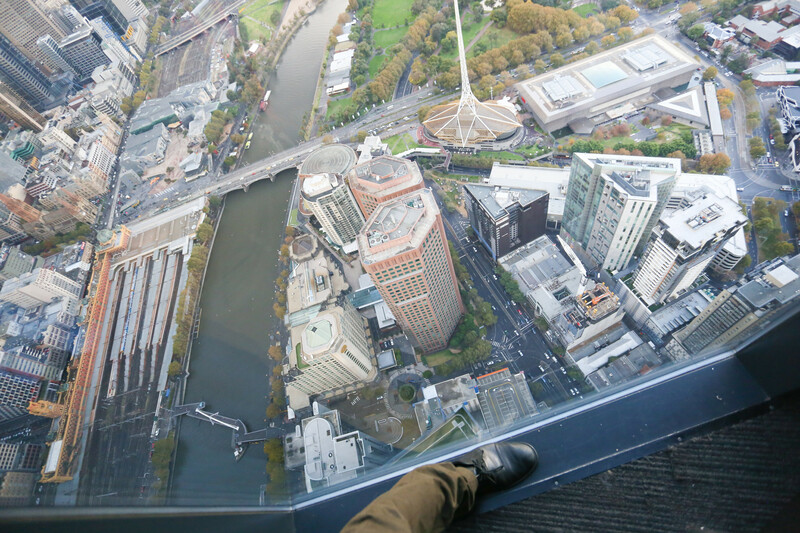 The Eureka SkyDeck experience is highly recommended among heaps of other “things to do” we’ve featured. 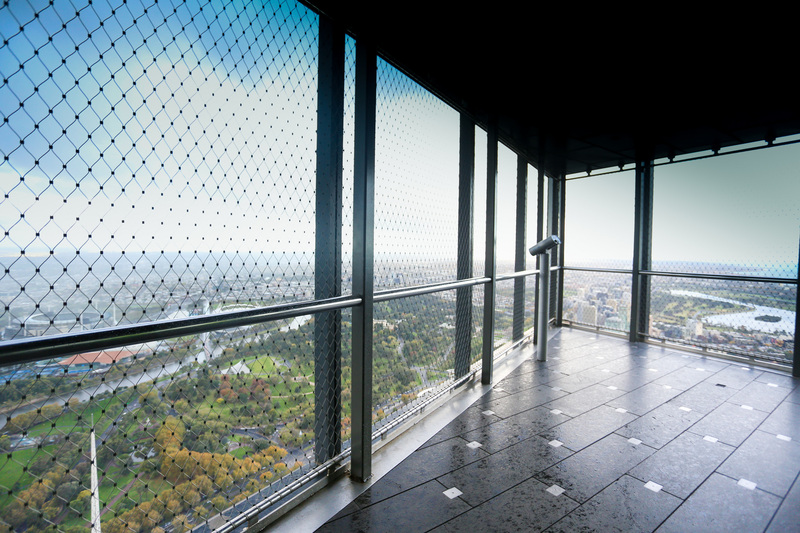 Did you know, observation deck (SkyDeck 88) is the highest public vantage point in the whole of Southern Hemisphere? 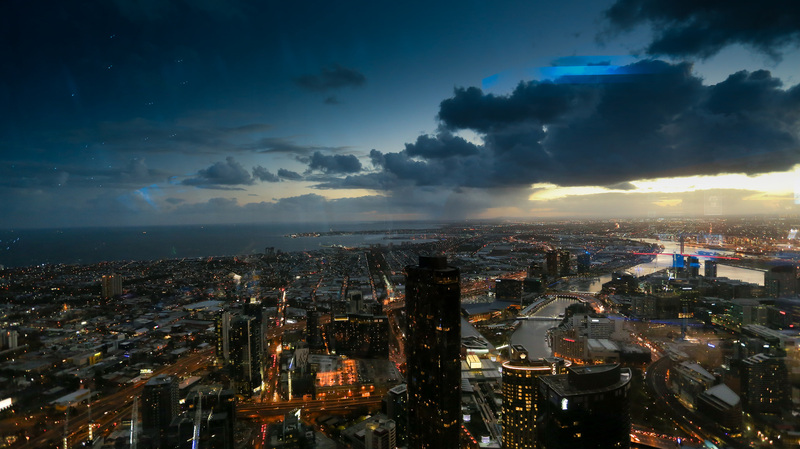 The view is absolute breathtaking and something you shouldn’t miss out if you are visiting Melbourne. Eureka SkyDeck – First Look! 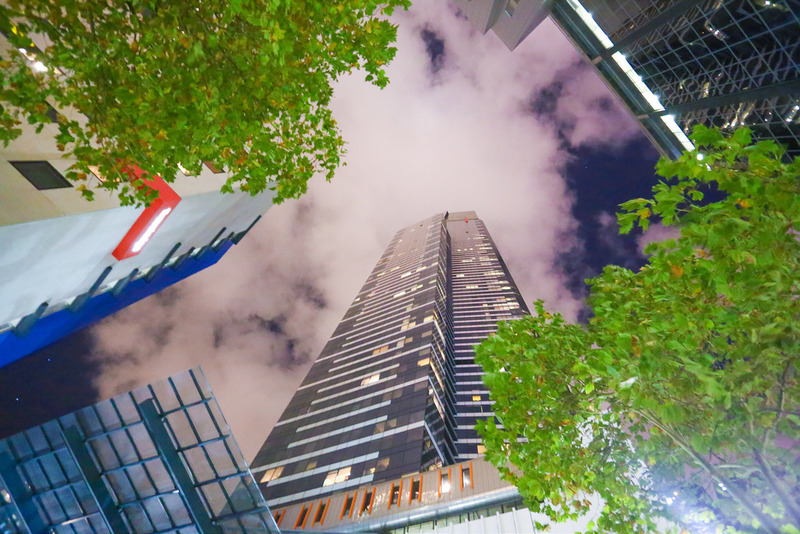 When in Melbourne city, you can always see the Eureka Towers from anywhere – just look up! But a closer look is what our team was after this time. 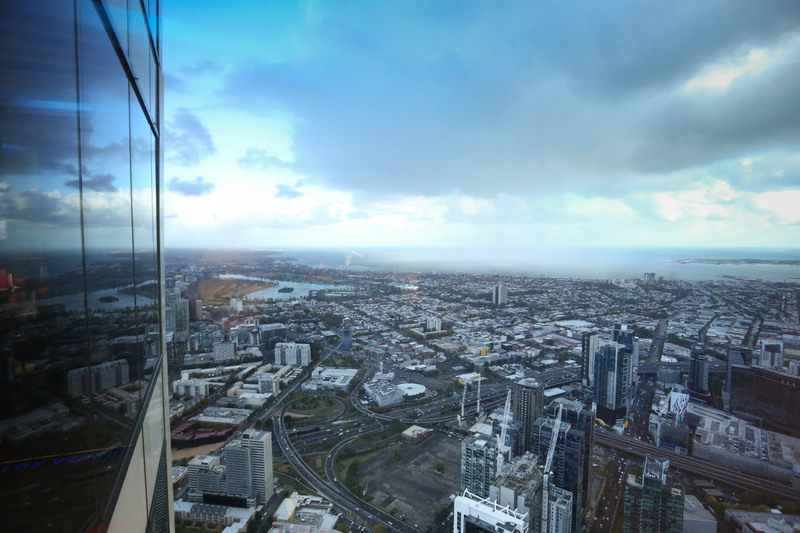 Below is some photographs from our first close look at the Eureka towers. The tower is named after the Gold rush period in Australia and the word Eureka literally relates to the same. 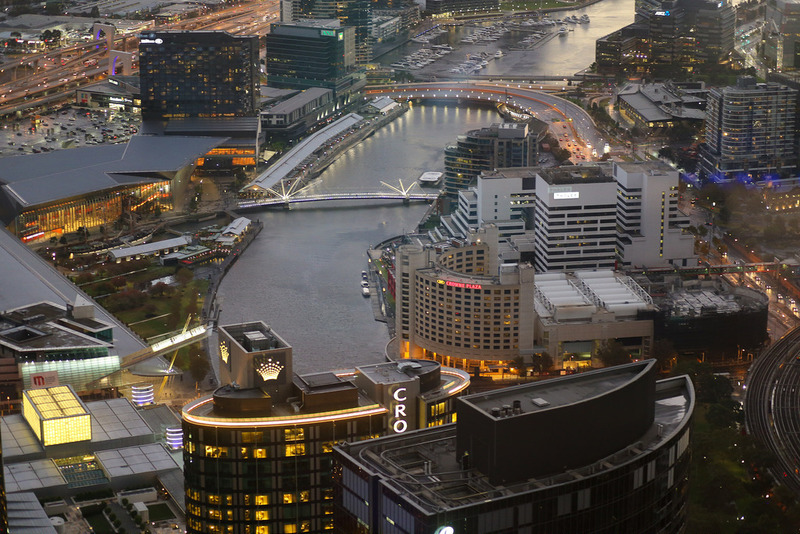 The attraction is situated right in the heart of Melbourne city near the Southgate Plaza along the river walk. The garden landscaping, beautiful lobby entrance, welcoming staff and the super fast lift will certainly catch your attention. As soon as we were on the 88th floor of the SkyDeck, we headed to experience the “Edge”. This is one of the most popular experience that visitors choose to do and trust me, is one of its kind. 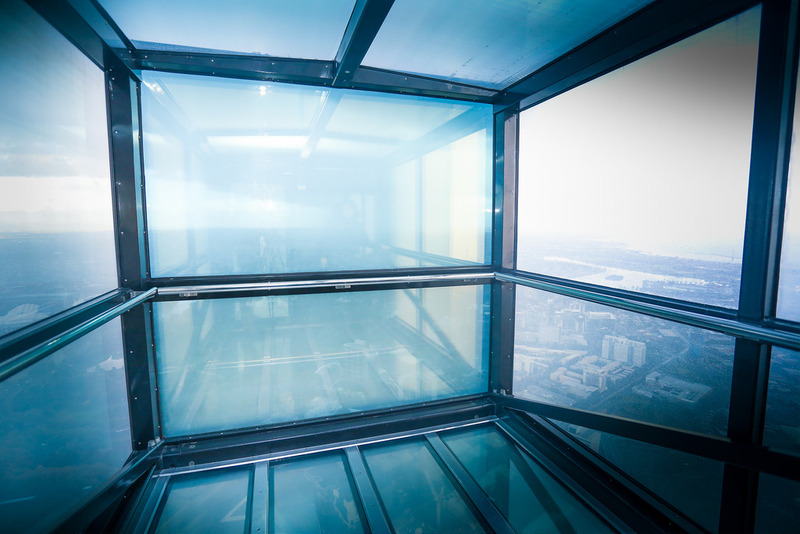 The unique box made out of super strong glass pops out of the skyscraper once you are in it to give that adrenal rush of experiencing the height from all sides and viewing below! The inbuilt camera system also takes pictures for you, on request. Just ensure to choose the brightest day to get a crystal clear view of Melbourne from above. See the pics from the edge below (unfortunately the day we made it here was a rainy one but that was yet another experience). Now with the initial excitement and the stunning edge experience, the next in line was my personal favourite – the outdoor area. At the outdoor balcony, as you see in the photos below, you get to experience and feel the height backed by strong, cold winds with a glass-free view of the beautiful city. 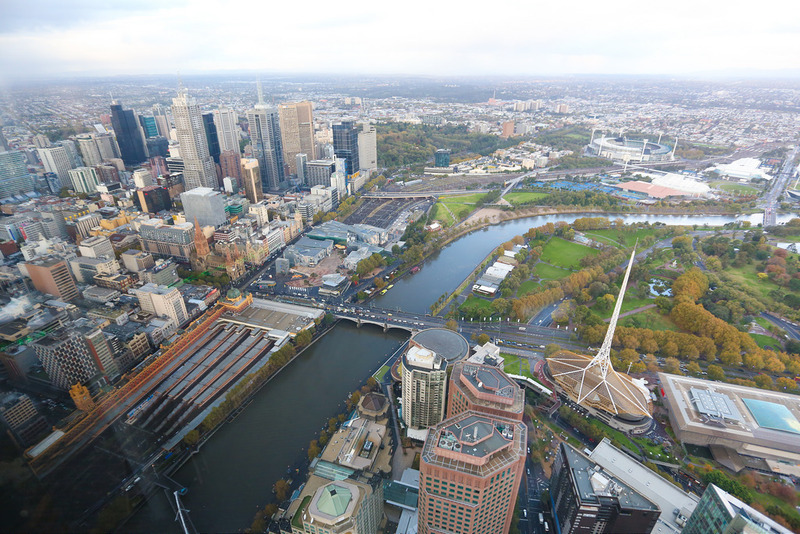 Apart from all these stunning views, there are several vantage points fitted with view scopes pointed, marked for you to see prime places and places of interests that Melbourne has to offer. 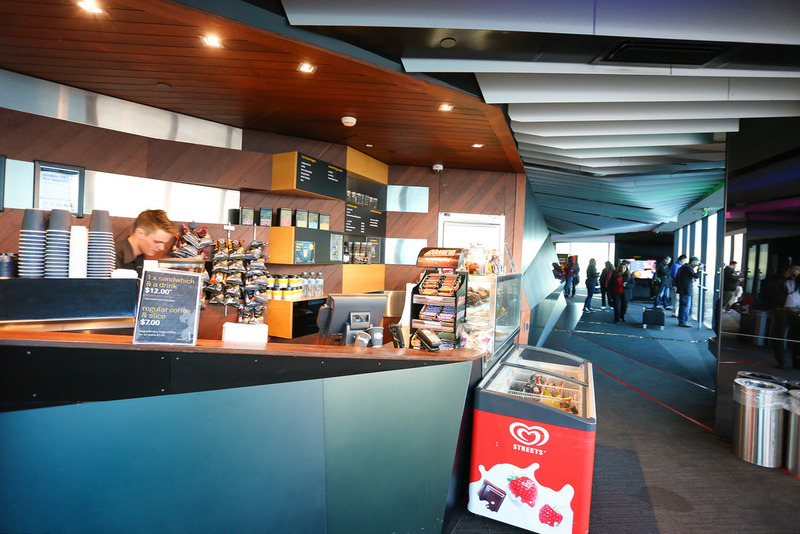 You can even unwind with a quick snack or coffee from the cafes. Don’t forget to browse around the photo booth, Eureka goodie stores and the Vertigo! 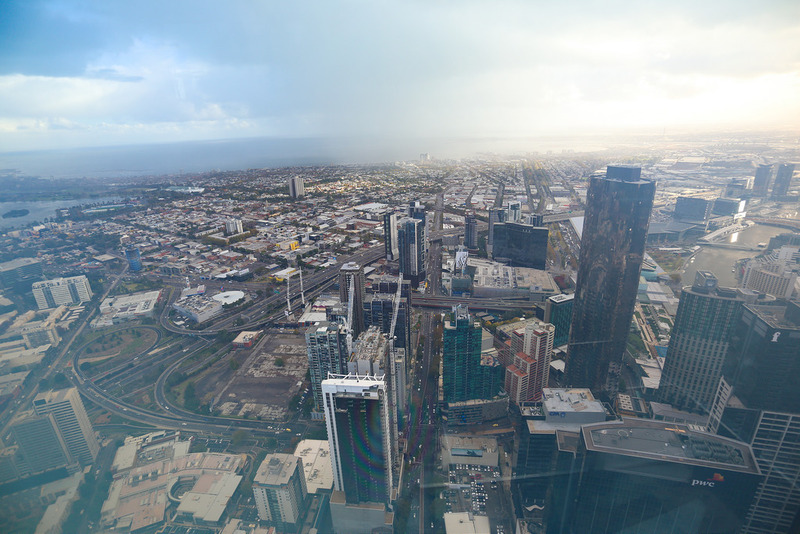 At the Vertigo, you can take some stunning photos that create an illusion of you hanging down from the top of SkyDeck. Finally the view! The view from up there can’t really be explained as it gives a different perspective to the beautiful city. Don’t forget to experience the view later in the day as the city looks like a queens crown with so much of colour, lights and life from Sky high! The view at night is yet another stunning experience as it is so different from how it looks during the day. 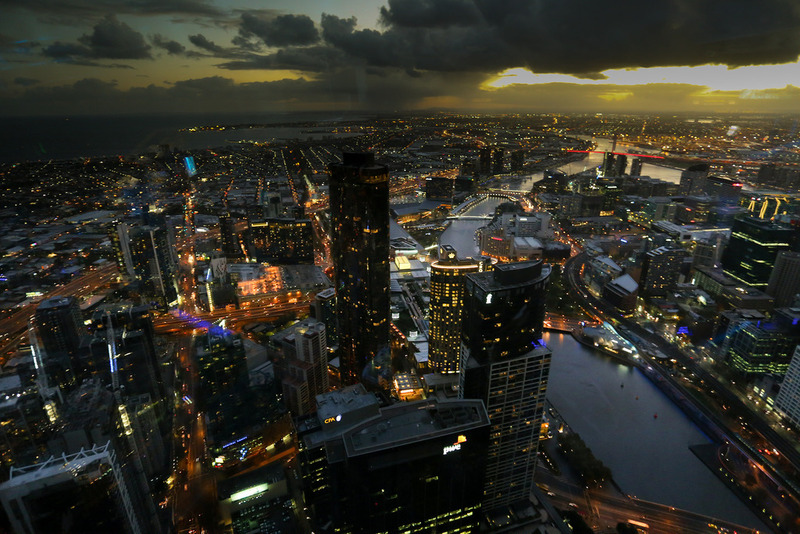 In our opinion, it’s better to visit the attraction towards the evening so that you get to experience both shades of the wonderful landmark in Melbourne. 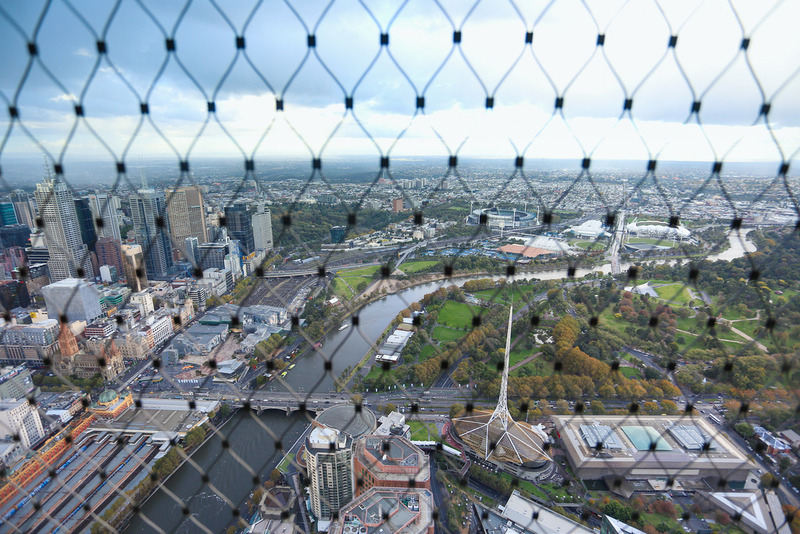 If you are in Melbourne, this is one attraction you shouldn’t miss out! 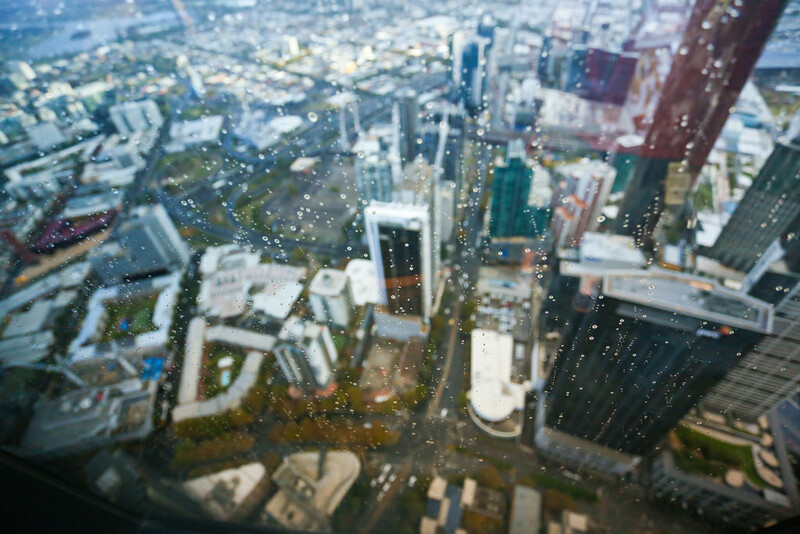 Being the highest public vantage point of the Souther Hemisphere, the Skydeck undoubtedly offers the best view of serene Melbourne!